When we hold them, our blood pressure goes down. Their antics make us laugh. Brushing their fur strengthens fine muscle skills and enhances eye-hand coordination. When they grace us with their attention, we experience unconditional love. 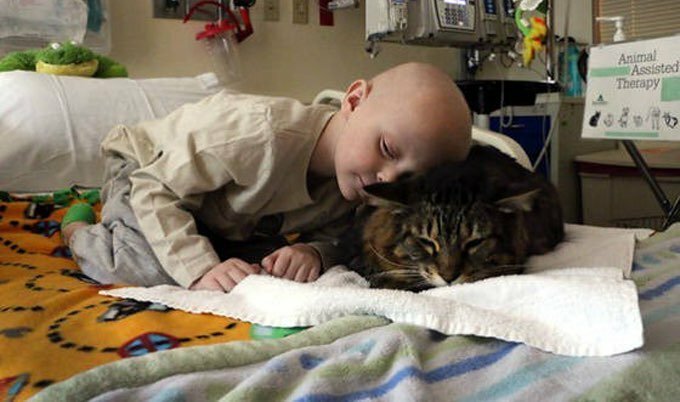 For all these reasons and more, cats are becoming popular therapy animals. 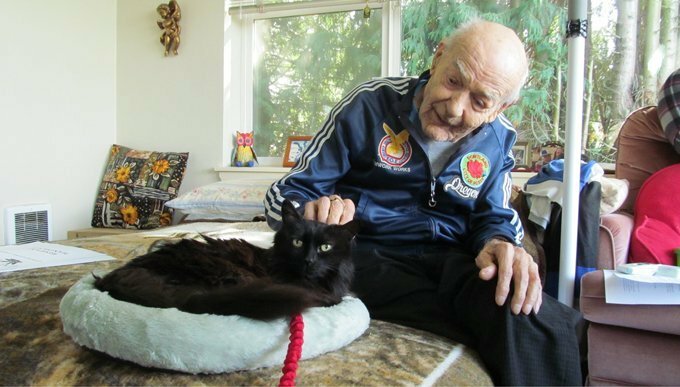 At Steere House in Providence, R.I., a hospital for Alzheimer’s and Dementia patients, a tabby cat named Oscar has shown up at the bedside of patients who are about to die. He knows it before anyone else. Staff and family members marvel at Oscar’s ability, and family members seem to find comfort and grace in the unsolicited attention he gives to them and their loved one. Adopted as a kitten, Oscar takes his job at Steele House very seriously; he’s been at it for more than ten years. In Muscle Shoals, Ala., Jak — the first registered therapy Sphynx in the country — visits kids in a cancer hospital. Jak’s owners wanted to show the kids that you can be “hairless and still be beautiful.” There seems to be an unspoken bond of understanding between them. Kids even calm down during procedures, and often whisper secrets to Jak. Holding him is like “holding a velvet hot water bottle.” In Colorado Springs, Piglet, a lavender Sphynx who was rescued from a shelter, performs her magic helping kids at vaccination clinics and reading programs and visiting patients at a nursing home. Interested in becoming a therapy team? Do you have a cat with an extra dose of love to give? If you’d like to become a therapy team, information can be found at Love on a Leash and Pet Partners.